Contact us when you know any German Embassy in Philadelphia (Pennsylvania) not appear in this page or if you know of any other consular office within the very same country that is located in Philadelphia or in nearby towns. If you're stuck in Philadelphia and can not return to your country considering that of troubles with your visa or passport we recommend the upper FINDER two clicks to access to consular offices near you. Since the different ambassadors and honorary consuls may perhaps alter please let us will communicate any information which is incorrect or outdated for us to provide the best information. 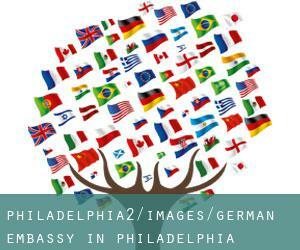 Are you seeking for a German Embassy in Philadelphia (Pennsylvania)? Look no further, here we offer updated list of Embassies and Consulates in Philadelphia and, if not locate a single, we suggest nearest consular offices. One Penn Center, Suite 340, 1617 John F. Kennedy Blvd, Philadelphia, PA 19103.